Continuing our theme of Practice Makes Permanent this month, meet Caroline and Tim. They started their first wedding dance months in advance of their wedding, and practised regularly. 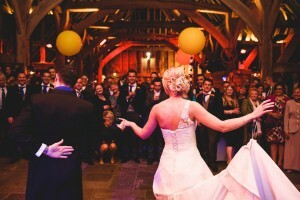 We held their final dance lesson in their wedding venue – The Priory Barn in Little Wymondley. We recommend this final practice in the wedding venue to all couples. The floor wasn’t very gracious – uneven flagstones, but you wouldn’t expect anything less from a beautiful, 16th c. barn, and this helped them to familiarise themselves with the geography(!) of the floor. 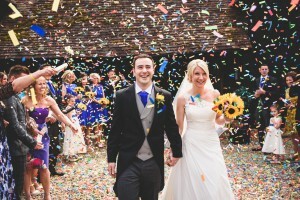 The extra practice paid off, and the result was an elegant, effortless first wedding dance. Congratulations to you both!